Wastewater, sewage, effluents and sludge are useful sources of energy with the potential to heat (or in some circumstances cool) other products or materials in industrial processes. The DTR Series of double tube heat exchangers from HRS is designed to maximize direct (product-to-product) energy recovery from such low viscosity materials, allowing valuable heat to be recaptured before the effluent enters final treatment or is discharged to the environment. Where biological water treatments are employed, it may be necessary to reduce the temperature of the effluent before treatment. For aerobic decomposition or other biological treatments, temperatures between 77 and 95 deg. F are recommended; with activity ceasing above 122 deg. F. However, the temperature of discharged cooling water is often around 104 deg. F1; while work in Switzerland suggests that domestic wastewater typically has a temperature around 68 deg. F and rarely falls below 50 deg. F.2 Capturing the effluent closer to its source can result in higher temperatures. Making use of any available heat is good for both your pocket and the environment, reducing the energy required for heating, with a corresponding drop in greenhouse gas emissions. Discharging water which is closer to ambient temperatures is also much better for the wider environment. 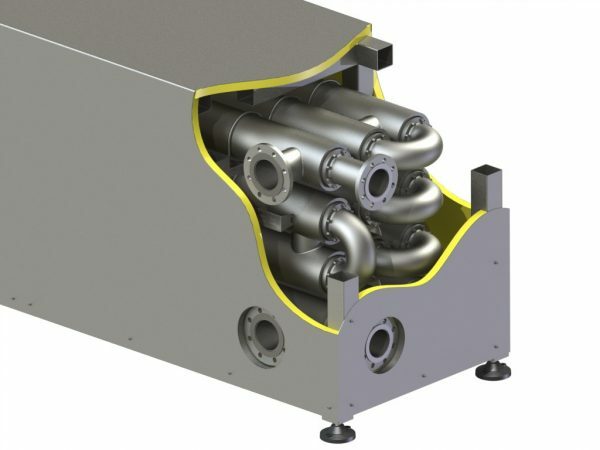 HRS Heat Exchangers have designed the DTR Series specifically to use low viscous products (or waste streams) as the heating (or cooling) medium. The DTR series is perfect for direct sludge to sludge heat recovery and environmental industry heat recovery. The tube-in-tube design means that the DTR series copes well with fluids that contain particles, without the worry of blockages impeding the flow of product or heating medium. 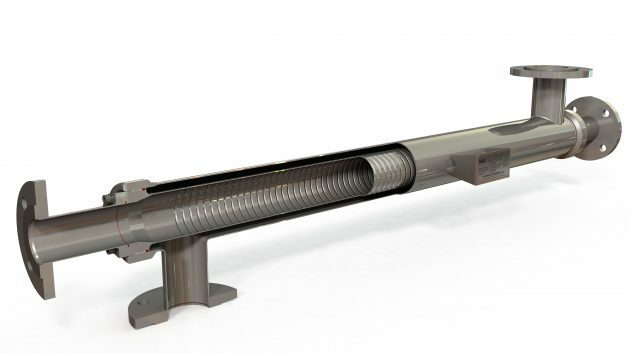 Special stainless steel corrugated tubes are used to increase heat transfer and reduce fouling, making the DTR Series more efficient than similar smooth tube heat exchanger designs. The inner tube of the DTR Series is removable for inspection, cleaning and maintenance, meaning that both the tube and shell sides can be inspected and cleaned, while the corrugated tube technology that HRS is so well known for improves heat transfer, yet reduces potential fouling compared to standard smooth tube heat exchangers. This allows the product or waste stream to run in both the inner and tubes. It also allows for easier and faster cleaning, so overall there is less operational downtime, even with high fouling products. For large installations, multiple units can be interconnected and mounted in a frame, and a range of options, including thermal insulation and cladding in materials including stainless steel are available.